New Nepali Movie 2017 - "How Funny" Full Movie || Dayahang Rai, Priyanka Karki, Keki Adhikari || Latest Nepali Movie release on 2017. How funny movie produce by (Tiny But Big Pictures) Ang Nuru Sherpa (Pheriche) and Tshering Lamu Sherpa. 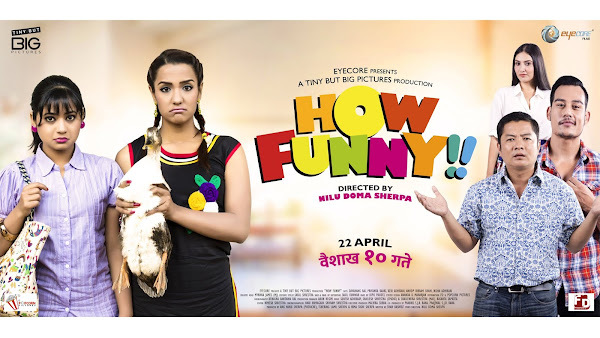 Nepali Movie "How Funny" story and concept by Nilu Doma Sherpa script writer was shan basnyat. Nepali Movie How Funny script writer was shan basnyat and film director was Nilu Doma Sherpa.